SOMETIMES A PRODUCT COMES ALONG THAT YOU SIMPLY CAN’T DO WITHOUT! ● Promotes the establishment of Fescues, Bents and Rye grasses. ● Improves root mass and increases nutrient uptake. ● Increases plant tolerance to stress conditions. ● Encourages faster growth and establishment of new grass seedlings. ● Increase resistance to and speedier recovery from disease. ● Maintains plant count entering into a dormant period. ● Acts as a biostimulant, which will enhance microbial activity. “PURITY soil conditioner was applied on the green surrounds at Fulford Heath GC @ 30g/m2 with a normal spinning disc spreader. It rained an hour later washing the product in, the following morning the product had achieved some extraordinary results! PURITY is a multi-purpose soil conditioner which I would recommend to anybody wanting to improve their turf . The product did exactly what I wanted it to.” Kim Blake, Course Manager, Fulford Heath Golf Club. 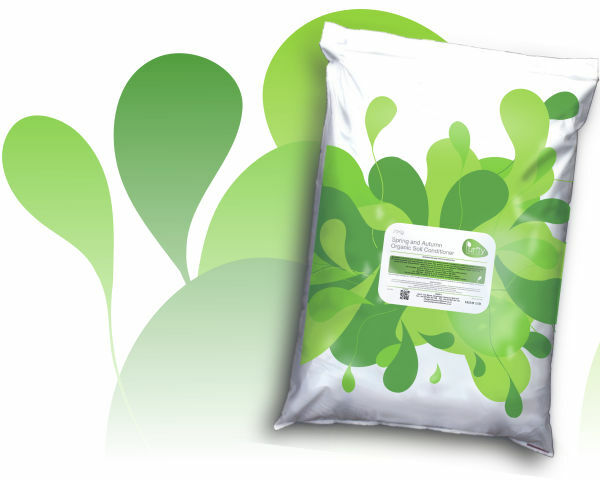 We recommend you apply granular PURITY evenly over the turf at 30gms/m2 (300 kg /ha). To enhance and start the process we recommend this product to be watered in for 5‐10 minutes. This is designed to wash the micro fine plant extracts into the turf and start the breakdown process.